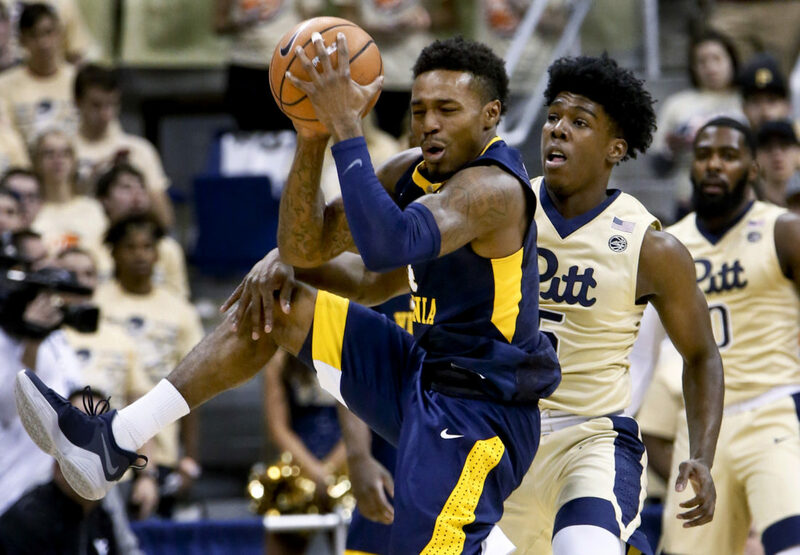 PITTSBURGH (AP) — Jevon Carter scored 19 points, Daxter Miles Jr. added 15 and No. 18 West Virginia fended off a furious second-half run by Pittsburgh in a 69-60 victory on Saturday night. Lamont West finished with 13 points and 10 rebounds for the Mountaineers (9-1), who have won nine straight following a season-opening loss to Texas A&M. Ryan Luther overcame early foul trouble to lead Pitt (5-5) with 13 points and 12 rebounds. Marcus Carr and Shamiel Stevenson added 12 points each for the Panthers. Pitt trailed by as many as 20 but closed within two points with 5:30 to go before West Virginia clamped down late. The Panthers never made another field goal and the renewal of the “Backyard Brawl” following a five-year hiatus ended with “Country Roads” echoing throughout the Petersen Events Center by the thousands of fans who made the 70-mile trip north from Morgantown. Then the game started and the punch Pitt coach Kevin Stallings told his team would come courtesy of the Mountaineers’ pressure defense arrived. West Virginia dominated at times during the opening half, holding the Panthers to five field goals and forcing 10 turnovers to build a 45-27 lead. Carter, however, picked up his fourth foul with 13:55 left and Pitt started figuring out West Virginia’s halfcourt trap while Carter watched from the bench as the Panthers chipped away. When Carter returned with 9:13 left, Pitt had drawn within 56-53. Carr converted a four-point play to get Pitt within 61-59 before the Mountaineers steadied themselves behind Miles and Carter. West Virginia: The Mountaineers will have trouble in the Big 12 if the games are called tight. The offense needed either Carter or Miles on the court (and preferably both) to be functional. That will required them staying out of the kind of foul trouble they ran into in the second half.